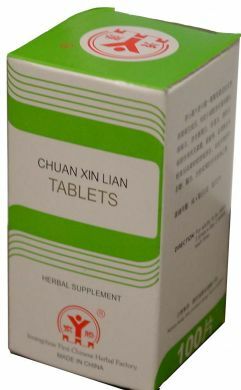 Chuan Xin Lian (andrographis pills) is recommended by Chinese herbalists for removing heat and toxic marerials and relieving inflammation from the body. A strong natural anti-microbial herb, andrographis, is useful for fever and headache of colds and flu, tonsillitis, larynopharyngitis, bronchitis, acute dysentary, acute gastritis, urinary tract infections with pain and yellow or green discharge, pelvic inflammation, and bleeding nose and gums. Dandelion is a blood and liver cleanser. To balance digestion, acidophilus or yougart may be required. Dosage: For acute symptoms the recommended dose is 2 tablets three times daily. Contents: Andrographis Leaves and root, Dandelion, isatis root.